Gather actionable feedback for your videos in minutes. Our Face and Brand Recognition AI allows process large volumes of video and images to find faces and brands throughout and at scale. That means greater flexibility for Sponsorship Monitoring and higher ROI. A brand new way to analyze more than just attendance and customer experience. Gain insights into crowd behavior, traffic trends, demographics, and more using simple-to-understand metrics. What did your audience think about your ad? How can your ad improve? Was the ad emotionally engaging enough? Find out through Actionable Feedback from your target audience. 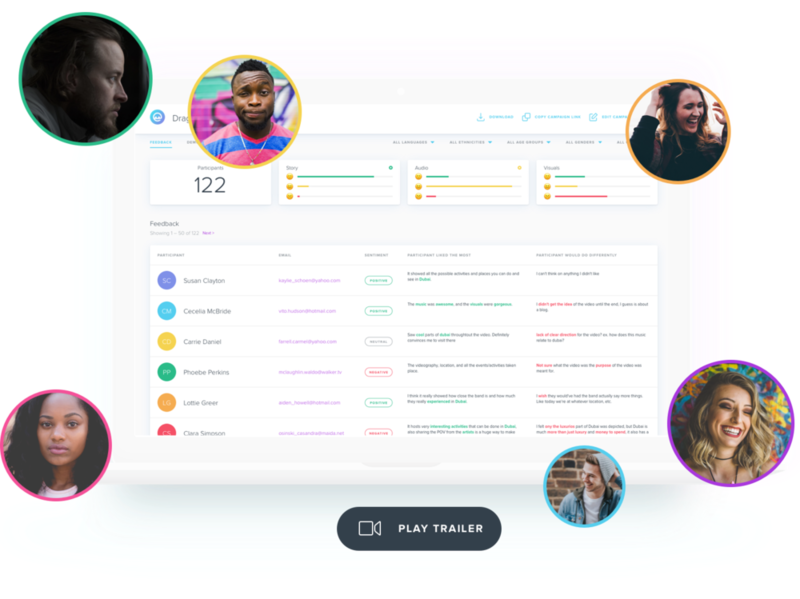 View the emotional appeal and audience engagement with our Emotional Appeal graph and Engagement Timeline all in one simple to use dashboard.